A new technology could fundamentally impact the way commercial real estate companies think about digital connectivity, reports Bisnow. LiFi is an emerging way of transferring data that will make even the fastest WiFi connection feel like a dial-up modem from 1997. And the technology it uses is relatively simple—a lightbulb. LiFi (Light Fidelity) uses LED light bulbs to transfer data, in much the same way as a WiFi router but much, much quicker and more efficiently. Speeds can be around 1,000 times faster than WiFi. UK researchers have used a micro-LED light bulb to transmit 3.5Gbit/s via each of the three primary colours – red, green, blue – that make up white light. This means transmission speeds over 10Gbit/s are possible, says a BBC report. The LEDs are switched on and off at speeds imperceptible to the naked eye, so there is no annoying flickering office lights. LiFi uses light instead of radio waves to transmit data, which is why it is so much faster. Light has a higher frequency than radio waves and also a higher bandwidth, which means as well as being able to carry data faster, it can carry more of it. “That gives LiFi a much higher capacity,” WiredScore Technical Director Sanjaya Ranasinghe said. “If you think about how difficult it is trying to get on the WiFi in a public place, that is because so many people are using it. Ranasinghe said the technology is “moving from prototype to maturity”. French developer Sogeprom, part of investment bank Société Générale, built a new headquarters in the La Défense business district of Paris incorporating the technology. The technology has also been successfully trialled in offices and industrial environments in Tallinn, Estonia. “The installation of high bandwidth LiFi in our offices fits our vision and perfectly fits with our client’s demands of increased mobility, system security and connectivity,” Sogeprom Deputy Chief Executive Pierre Sorel said. The LED lights require so little energy, they can be powered by a standard ethernet cord. 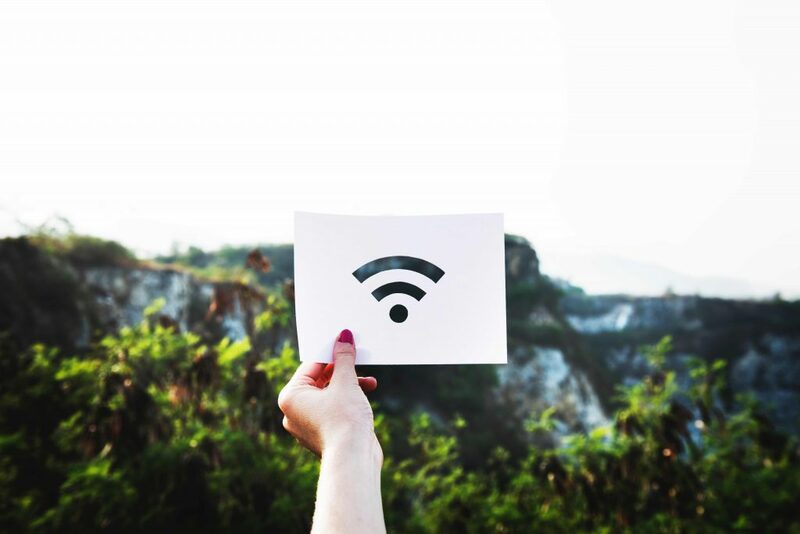 In addition, LiFi does not create electromagnetic interference the way WiFi does, meaning it could have important applications in sensitive locations like healthcare facilities and aircraft. LiFi also has the potential to provide increased security. Because light does not travel through walls, it is possible to create LiFi networks for very specific areas, reducing the ability of anyone outside that network to hack in. “If the chief executive or a particular team need their own network, that is possible,” Ranasinghe said.